The apostrophe is used in a variety of ways: to show possession, to signal a contraction or for a negative contraction. 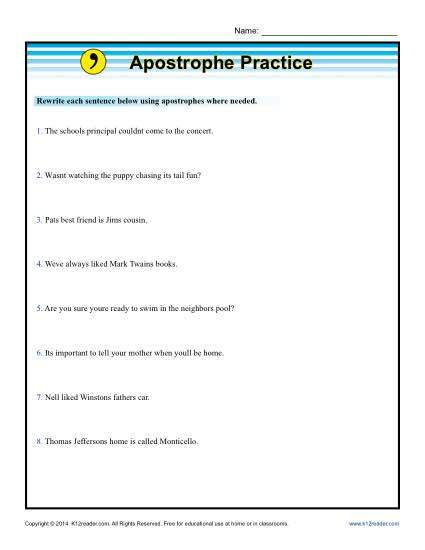 Your student is asked in this worksheet to rewrite the sentences and add all the missing apostrophes. It’s a great diagnostic tool, but it’s also a great practice for Common Core Standards for 2nd, 3rd, and 4th grade Language. You may also use it for other students as needed.